The Calgary Flames have added a much-needed sniper to their lineup, signing proven scorer James Neal on Monday. The deal is worth $28.75 million US over five years with an annual average salary of $5.75 million. Calgary signed forward James Neal to a five-year, $28.75 million US contract on Monday, giving Johnny Gaudreau and the rest of the Flames a much-needed scoring boost. "One of the things we looked to address this off-season was adding depth and versatility to our forward unit," Treliving said. "At the end of the year, I talked a little bit about us as a team relying on too few guys to do too many things." Calgary becomes Neal's third team in as many seasons. 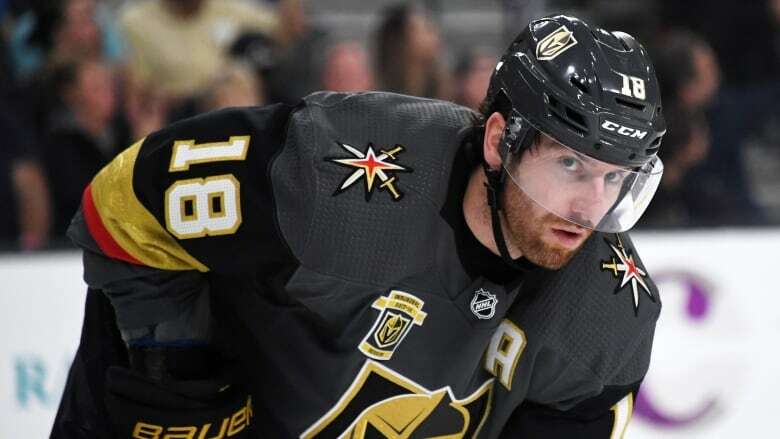 He was selected by Vegas in the NHL expansion draft a year ago, and scored 25 goals and 44 points in 71 games for the Golden Knights. The Flames also signed forward Derek Ryan to a three-year, $9.375 million contract. Ryan scored 15 goals and 38 points in his second full season with Carolina last year. Calgary also added centre Austin Czarnik, who spent the previous two seasons with Boston. The additions come on the heels of the Flames acquiring center Elias Lindholm and defenceman Noah Hanifin in a trade that sent defenceman Dougie Hamilton, winger Micheal Ferland and college prospect Adam Fox to Carolina. The Flames missed the playoffs for the seventh time in nine years, falling out of contention by going 5-13-1 over the final month of the season. It was a stretch during which Calgary scored three or more goals just five times and was shut out four times.